Doklam standoff: PLA soldiers pitch 80 tents; Army advances exercise for units in Sikkim. The Indian Express has learnt that the number of Chinese troops in the area is estimated to be less than 800, which means that it is not a full PLA infantry battalion. 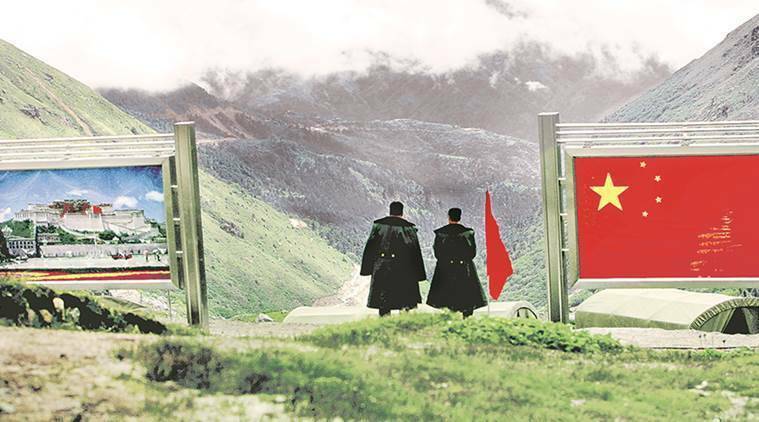 Seven weeks into the face-off between Indian and Chinese troops in Doklam, there has been increased Chinese presence in the vicinity of the standoff site at the trijunction with Bhutan. 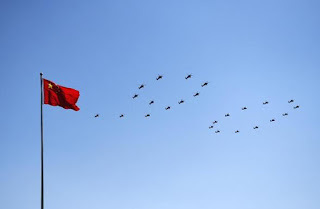 At a distance of around one kilometre from Dolam plateau, north of Doka La post, the Chinese have pitched around 80 tents for the People’s Liberation Army (PLA) soldiers. The Indian Express has learnt that the number of Chinese troops in the area is estimated to be less than 800, which means that it is not a full PLA infantry battalion. In addition, around 300 PLA soldiers are deployed at the standoff site, facing around 350 Indian soldiers who are staying in nearly 30 tents pitched in the area. Refusing to comment on the presence of Chinese soldiers, official sources said “there is no movement from the other side that has been picked up by us”. Meanwhile, the Indian Army has also advanced its schedule for Operational Alert, popularly called Op Alert, for units of 33 Corps looking after Sikkim’s border with China. An Op Alert is a two-week long annual training event in which all Army units move to familiarise themselves with their likely area of operation. The two-week period does not include the time for movement and acclimatisation for deployment at higher altitudes. India’s foreign policy, ever since independence, remained focused on the principles of peace, non-violence, non-alignment, anti-imperialism, anti-racism, anti-war etc, which are derived from the faith and ideals of human goodness, innate equality of the people, universal brotherhood, unity in diversity and secularism. However, in recent times, especially since the Narendra Modi Government came to power, commerce, trade and security have taken prominent positions. Not non-alignment but alignment with all has been the maxim of India’s foreign policy and the country is reaching out to to several nations like Fiji and Israel to fulfill its diplomatic needs. Prime Minister Narendra Modi’s foreign policy is currently focused on improving relations with the neighbouring countries in South Asia; engaging extended neighbourhood in the Southeast Asian region and other major global powers. In pursuit of this, the Prime Minister has made several official visits to countries like Bhutan, Nepal, Japan, the United States, Myanmar, Australia, Fiji, Israel among many others. India moves towards greater digitisation of its economy and government services, but many vulnerabilities remain in the area of cyber space. This has to be rectified before escalating a response to China, an acknowledged cyber power. For more than a month now, India, China and Bhutan have been locked in a tense stand-off at the tri-junction of their borders in the strategic Chumbi Valley in the Indian state of Sikkim. The trigger was China’s attempt to construct a road through the Doklam plateau. This road will allow China to neutralise India’s defences and expose the Siliguri corridor (or the Chicken’s Neck), which connects India’s north-eastern states to the rest of the country. 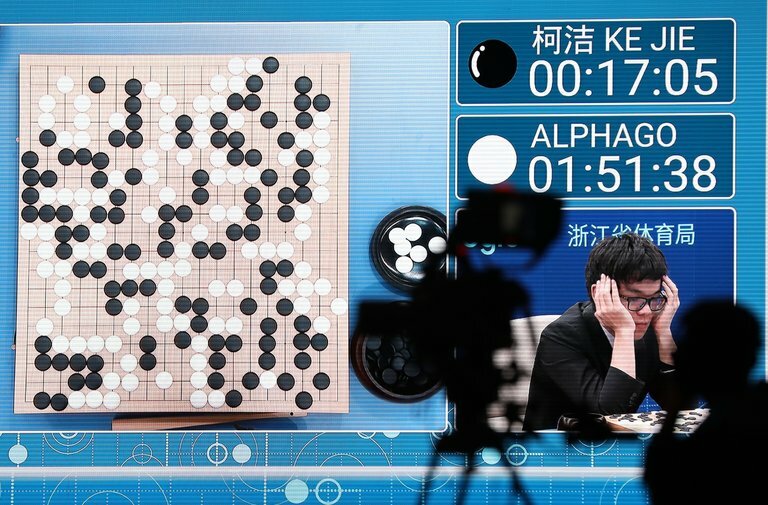 The analysis in the media of tactics and military hardware has been shrill and narrowly focused, taking no consideration of the danger that China poses if the current stand-off escalates into cyber space, the fifth spectrum of contemporary warfare. Prime Minister Narendra Modi had hinted at this two years ago, suggesting that it could impel a bloodless war and that he dreamed of an India where cyber security was an integral part of national security. WASHINGTON: A constructive engagement between Pakistan and India during the recently held water talks in Washington has raised hopes for an amicable resolution of this dispute, according to diplomatic sources. The World Bank, which hosted the talks at its headquarters two weeks ago, also noticed this positive change and mentioned it in a press release on Aug 1, noting that the “meetings … were held in a spirit of goodwill and cooperation”. Islamabad and New Delhi disagree over construction of the Kishenganga (330MW) and Ratle (850MW) hydroelectric power plants being built by India. (The World Bank is not financing either project). Islamabad contends that the technical design features of the two plants contravene the Indus Waters Treaty. The plants are on a tributary of the Jhelum and Chenab rivers, respectively. 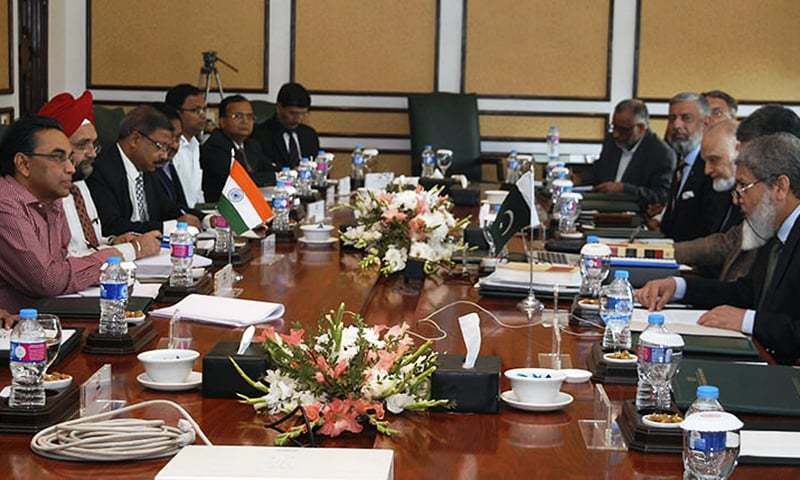 An international expert, who closely monitors the Pakistan-India water talks, told Dawn this was the first time in many years that delegates “held a constructive discussion, instead of merely stating their official positions”. The expert said in previous talks “sometimes the two sides did not even exchange formal greetings”. They would “just read the statements they brought with them and leave, but this time it was different,” he added. The recent joint attack by the Islamic State (IS) and Taliban, which killed over 50 persons in Afghanistan’s Mirzawalan village in the northern Sar-e-Pul Province, was the third joint operation by the two organisations in recent times. This suggests a significant turn in their relationship. They had, until recently, clashed regularly in search of supremacy ever since the IS established a foothold in eastern Afghanistan in 2015. The already beleaguered Afghan Government would find itself in serious difficulty if the new-found cooperation continues. 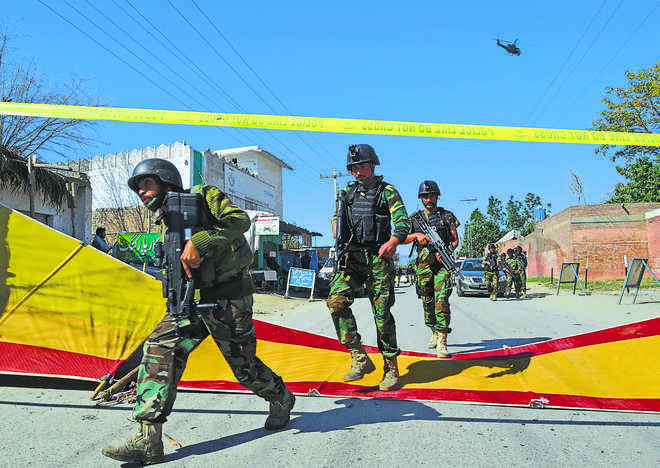 Also meriting attention is the report that the massacre occurred after the Afghan Local Police (ALP) guarding the village was overcome in a 48-hour-long battle. The positive side here is that, unlike on many past occasions, when uniformed forces fled at the beginning of trouble, the ALP fought. More important, this is not the first time when the Afghan Army and the other constituents of the security forces have shown a willingness to fight. The negative aspect is that the unit was defeated. This could be because it was heavily outnumbered, and/or because of the known weaknesses afflicting the Afghan security forces—poor leadership and inadequate training, weapons and equipment. Unless the insufficiencies in each of these areas are addressed, one cannot rule out the possibility of the Afghan forces going under. A number of reports have surfaced recently claiming that Hafiz Saeed, the chief of the Jamaat-ud-Dawa (JuD), a proscribed organization that primarily targets Indian interests, has decided to register a political party in Pakistan. Reportedly, the party is being registered under the name of Mlli Muslim League Pakistan. However, the crucial question that begs attention is why Saeed is interested in forming a political party now. Does the likely transition from a jihadist organization to a political party mean that Pakistan has changed its policy of using Saeed’s organization to settle scores with India? China has risen. It is now a great power well on its way to becoming a superpower. China’s ambitions and quest for greater resources and expanding diplomatic, economic, and military capabilities will result in Beijing’s growing voice in all facets of international politics. While there are debates about how powerful China will become, and how soon, there is no ambiguity that it is expanding its power and influence. Despite its many other obligations, the major task for the Trump administration will be to respond effectively to China’s challenge to U.S. power. Indeed, contemporary international politics is defined by an increasingly bold and aggressive China that seeks territorial revisions and evinces the willingness to resort to threats, coercive diplomacy, and military action to achieve these goals. In 2010, Chinese foreign minister Yang Jiechi best captured this reality when he observed at an ASEAN meeting, “China is a big country, and other countries are small countries and that is just a fact.” This is a classic great power politics argument first made by Thucydides 2,400 years ago in the Melian Dialogue—the strong do what they will and the weak suffer what they must. Even by the standards of the Chinese Communist Party (CCP), the brutal treatment of China’s first Nobel Prize winner, Liu Xiaobo, has breached the norms of civilized behavior. The third day after Liu‘s death from liver cancer—which deteriorated into the terminal stage last June largely due to lack of medical attention during his eight-year incarceration in northeastern Liaoning Province—the authorities cremated the body of the pro-democracy icon and scattered his ashes in the sea. This followed a short funeral, during which two dozen police and state-security personnel posed as relatives and friends paying their last respects. Liu’s supporters from all over China, some of whom had congregated in Shenyang, were barred from the hastily arranged ceremony. Although Liu’s widow, Liu Xia, has never been charged with any crimes, she has been held under house arrest since 2010. It is unlikely that she will gain her freedom anytime soon (Apple Daily [Hong Kong], July 15; Liberty Times [Taipei], July 15; HKO1.com, July 14). The biggest question after Liu’s death is: Will this galvanize the badly demoralized and out-gunned pro-democracy community in China—and ignite another wave of protests? Most of China’s prominent dissidents either are in jail or kept under 24-hour surveillance. Only a few of them have been able to talk to the Western or Hong Kong media about Liu’s demise. It does not look as though they were confident about the future of democracy. Human rights activist and liberal columnist Mo Zhixu, a good friend of Liu’s, would only say that Liu’s death would have “a far-reaching influence on citizen movements.” Hu Jia, an internationally famous dissident who is under house arrest, said Liu’s writings and actions had “planted the seeds of democracy among Chinese.” When asked about the prospect of democracy, however, Hu had this to say: “To be pessimistic is meaningless… We only have one option, and that is to remain optimistic about China’s democratization.” The bitter truth is that thanks to the CCP’s through control over information and its relentless efforts in hunting down critics of the regime, few Chinese citizens outside intellectual circles know who Liu Xiaobo is. As Hu said: “In Beijing, if you ask 100 people and one of them says he has heard of Liu Xiaobo, it is quite something.” (Hong Kong Citizen News, July 14; Cable News, [Hong Kong] July 14; Central News Agency [Taiwan], July 13). Reports that the Trump administration will confront China over unfair trade practices is good news, but this is only half a solution. It generally doesn’t help when you are losing a race to complain that your competitors are running too fast. To stay in the lead, you have to pick up the pace. China does not play by the rules, and it has gotten away with it for too long. Compare the treatment of U.S. companies in China to Chinese companies in the United States. China’s excuse that it is a developing country and should be allowed to tilt the playing field is nonsensical for the world’s second-largest economy. The word that Chinese companies fear is reciprocity—that they should be treated in the United States the way American companies are treated in China. When Alibaba built a data center in Seattle, it was not forced to do this as a junior partner in a joint venture, nor to provide source code as is the case for U.S. companies in China. The goals of Chinese policy are easily summarized: they wish to extract technologies from Western companies; use subsidies and nontariff barriers to competition to build national champions; and then create a protected domestic market for these champions to give them an advantage as they venture out in the world. Huawei is the best example of a globally dominant company built along these lines, but there are others. Lu Wei, the former head of China’s Cyberspace Administration, once said that if China had not blocked Google, there would be no Baidu. During the Cold War, one U.S. Army main battle tank served longer and fought on more battlefields than any other. While the world is familiar with the now-iconic M1 Abrams tank, the M60 tank served during an important time in American history, defending key American allies and provided the U.S. Army in Europe with a solid, dependable tank to fend off the armored hordes of the Soviet Union and the Warsaw Pact. A descendant of Korean War era tanks, the M60 was an example of how incremental advances in military technology could progressively better fighting machines. The M60 tank was originally based on the M48 Patton tank. Fielded in the early 1950s and itself based on the M47 and M46 tanks, the Patton featured advanced fire control that gave it nearly a 50 percent chance of a first round hit at 1,500 meters, a reduction in crew from five to four, and a hemispherical turret that gave excellent crew protection. The downside of the M48 was a mediocre 90-millimeter main gun and appallingly bad range (seventy miles). Despite these mixed reviews the Patton was rushed into production in 1953. In 1956, British intelligence acquired information regarding the new Soviet T-55 medium tank. A radical departure from the wartime T-34 series, the T-55 featured the D-10T 100-millimeter rifled gun. This new threatened to outgun NATO armies whose tanks were largely equipped with 90-millimeter guns, and as a result, the United Kingdom developed the 105-millimeter L7 gun. Known as the M68 in American service, integrating the gun into the Army’s tank fleet became a high priority. Rebuilding Syria will take upwards of $100 billion a year—the kind of money that Assad's allies simply do not have. President Donald Trump’s early moves on Syria policy have had their virtues. He has gradually ramped up the military pressure against ISIS, building on efforts established in the last years of the Obama administration. Trump has also worked to reestablish a credible U.S. redline against chemical weapons use, and also, to begin a new dialogue with Russia as of his July 7 meeting with Vladimir Putin in Hamburg, Germany that led to ideas for small ceasefire zones. King Abdullah II of Jordan has helped establish one such zone in southern Syria and there is some hope that it could serve as a model for things to come. Trump has also wisely disengaged from the futile Geneva negotiation process that the Obama administration believed might create a new government of national unity; the reality is that, backed up by Russia and with considerable battlefield momentum in recent years, the government of President Bashar al-Assad isn't going anywhere anytime soon. Devolution of power, at least temporarily, to various regions and subregions in Syria is a much more promising concept than wholesale replacement of the central government in Damascus. Russia's deputy foreign minister met Wednesday with leading diplomats from Iran and Iraq to discuss combating Islamist extremist groups and the future of Syria. 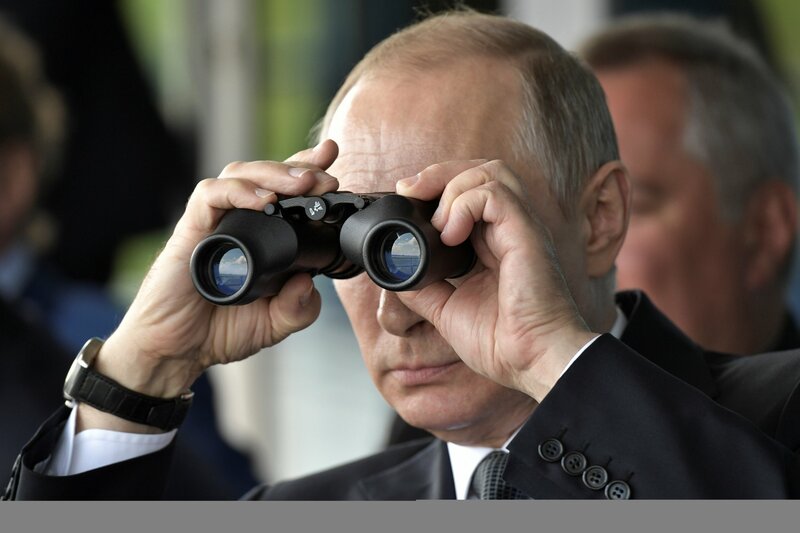 With the U.S. minimizing efforts to topple the government of Syrian President Bashar al-Assad and Iraq expressing weariness of the U.S.'s extended presence in its country, Russia has become an increasingly important power broker in the region. Russian Deputy Foreign Minister Mikhail Bogdanov met in Moscow with Iranian Deputy Foreign Minister for Arab and African Affairs Hossein Jaberi Ansari and Iraqi Deputy Foreign Minister for Political Affairs Nazar Khairallah to emphasize the "principled position of the three countries" on Syria. All three expressed support for Assad in a lengthy war pitting his armed forces against jihadists and opposition groups, according to Syria's pro-government Al-Watan newspaper and Iran's semi-official Tasnim News Agency. Bogdanov also took the opportunity to attack the U.S.'s most recent round of sanctions against his country. The Russian diplomat called the sanctions "absolutely unlawful" and said they would further alienate the U.S. at a time where Washington is seeking to work more closely with Moscow in the Middle East and on other international affairs. "This is sad, it affects our bilateral relations," Bogdanov said, according to the state-run Tass Russian news agency. "I think that it does not add optimism regarding the possibility for us to coordinate our approaches towards a whole range of regional issues, including our relations with such an important partner and neighbor as Iran." The Trump Administration is dithering and the President has inexplicably blamed his military commander, General Nicholson, for not securing "victory" in Afghanistan. This is naturally promoting unease in Kabul about what US policies are going to be in a country, where the 9/11 masterminds plotted and planned the attacks, under Taliban rule. There are, however, indications that despite the President's dithering, the State Department, the Pentagon and even the White House staff are clear on how to proceed ahead. Trump is, therefore, expected to adopt the policies advocated by the US Congress and the professionals in his Administration, as he has done in relations with Russia, the Gulf Arab States and North Korea. Led by the ailing head of the Senate Foreign Relations Committee and once pro-Pakistani Senator John McCain, the US Congress is now proposing closer oversight of how US funds are utilised by the Afghan Government. The US legislation, for the first time, proposes “imposing graduated diplomatic, military and economic costs on Pakistan as long as it continues to provide support and sanctuary to terrorist and insurgent groups, including the Taliban and the Haqqani network”. It links American assistance to “cessation by Pakistan of support for all terrorist and insurgent groups and playing a constructive role in bringing about a peaceful resolution of the conflict in Afghanistan”. In diplomatic terms, it calls for "working through flexible frameworks for regional dialogue, together with Afghanistan, Pakistan, China, India, Tajikistan, Uzbekistan, Turkmenistan and other nations." The proposed legislation also calls for strengthening the Afghan security forces and authorises the use of US forces to target militants of the Haqqani network, the Taliban and others. The US House of Representatives is moving in a parallel direction, reflecting a broad national consensus on Afghanistan. U.S. drone strikes against the Islamic State in the Philippines may not be decisive in terminating the conflict. The U.S. Department of Defense confirmed on Monday that it is actively considering the adoption of plans that would allow the U.S. military to carry out airstrikes on Islamic State-affiliated fighters in the southern Philippines, according to a report by NBC News. Since late-May, the Armed Forces of the Philippines have been struggling to retake Marawi City on the southern Philippine island of Mindanao after it was overrun by militants affiliated with the Maute Group, which had declared its allegiance to the Islamic State’s caliphate. The new plans would allow direct combat engagements for U.S. aerial assets — most likely unmanned combat aerial vehicles (UCAVs). The adoption of such a plan would be a boon to Philippine forces and mark a marked uptick in U.S. involvement in the ongoing fight against terror in Mindanao that has displaced thousands. If you are a leader in bigger organization you face a very challenging task. How do you ensure that you are seen as a leader not only by direct subordinates but by the whole team? Daily visibility is the answer. People will not follow you if they don't see you, if they don’t understand your values, your expectations, if they don’t see the results of your efforts and if they don't see the goals towards you are marching. The first thing you need to change is not being locked in the office. You must be on the floor with your team every single day. Go for a walk amongst your teams and go slow. You don't want to rush through the office like a tornado or a person on a mission who cannot be bothered even to say hello. You need to appear as someone who is approachable and ready to talk. People need to get accustomed of you being there, they need to realize that you are genuinely interested in their work, in them and that you don't come only when you need something. You don't have to talk to every single person every day, which would be challenging in large organization, but at the same time you shouldn't always talk to the same person as it could be seen as favoritism or worse, it would set the routine that you didn't come to talk to the team but only to that particular individual. The Army is at an inflection point, where the rate of technological and geopolitical change is outstripping our capacity to anticipate, adapt and then implement transformative institutional processes to gain and maintain competitive advantage. We are combating information and knowledge-age challenges with industrial-age solutions. Few would call our acquisition and personnel management processes nimble and responsive enough to address the complex challenges of the contemporary operating environment. After more than 25 years of unprecedented conventional combat power overmatch with long and troubled flirtations with peacekeeping, nation-building and counterinsurgency operations, we have awakened to near-peer adversaries with sophisticated anti-submarine, cyberwarfare, electronic warfare, and other anti-access/area denial capabilities. We have access to ideas and inventions that can be leveraged to gain competitive advantage in these areas if we have the will to develop, select and empower staff colonels, the innovation engines of our Army. If the Army wants to foster a culture of innovation as senior leaders profess and doctrine proclaims, then we must innovate to create that culture. We must break from our current command-centric leader development model to build the military’s finest senior staff officers, making strategic-level staff positions sought after and progressive assignments for the best and brightest officers. Staff colonels and the talented teams that support them are the engines of the institutional Army and essential components of an innovation chain converting ideas to competitive advantage for our joint force. In short, staff colonels are key to Army innovation. It may be a bit unfair to call the PCC week for spouses “Wife School,” because examples do exist of women taking tactical command while their husbands take on the support role. But, by and large, most incoming Army commanders at the battalion and brigade level are men — and the expectation is for wives to fill the role of the Family Readiness Group (FRG) Advisor, hostess, command team cheerleader, and social worker during the command years. — Should I encourage the incoming battalion command spouses to attend Wife School? — Am I setting a bad example by not attending? — And, most significant, does Wife School still have utility for spouses, and for the Army, or is it an antiquated concept ready for the dustbin? When I attended PCC in 2012, we were met with a smorgasbord of briefings, meetings, and icebreakers. We took personality tests to see how if we were extroverts or introverts, work well in groups, or alone. Was I a natural leader? Well, whether you are or not, I was told, you are going to be leading the volunteer core of the battalion that supports your husband’s soldiers. You are going to be looked up to, called upon for assistance, and asked for advice. Best Defense is on summer hiatus. During this restful spell we offer re-runs from the past 12 months. This item originally ran on Dec. 16, 2016. I say I was surprised because I barely made it past the first sentence of the article: “The Army is at an inflection point.” Cliché alert. As Orwell said, bad writing tends to reflect bad thinking. The last publically disclosed major cyber operation against ISIS began last November, and raised questions about the ability for the U.S. to conduct cyber warfare in other countries’ domains whose networks happened to be used by ISIS. According to a former official quoted in The Washington Post, the operations included denying ISIS propaganda experts access to their online accounts, and remotely erasing battlefield video footage from ISIS servers. Even as cyber warfare is being waged against ISIS on a daily basis, Army Cyber Command is still seeking ways to greater integrate cyber operations with ground combat operations. Despite the attention being dedicated to the cyber fight against ISIS, Lt. Gen. Nakasone was clear that Army cyber teams are doing their best to support ground commanders everywhere. “There is a finite availability of any resource,” Lt. Gen. Nakasone admitted. However, “as we look to the future we are going to provide support to a variety of commanders and we are going to do that to the best of our ability,” he said. Michael Daniel spent four years working on cybersecurity for the White House. But he knows there's much more to be done. The US government's cybersecurity could be a lot better than it is, and President Barack Obama's cyber czar knows why it's in such rough shape. Michael Daniel was cybersecurity coordinator during Obama's last four years in office. We caught up with him at Black Hat on Thursday, more than six months after Obama left the White House, to talk about President Donald Trump's policies on security, what attacks Americans should be looking out for and the trouble with getting people to listen. A lot has changed for security in the six months since Trump moved into the White House on Jan. 20. Trump signed an executive order calling for an overhaul on cybersecurity, investigators continue to dig into Russian influence on the election via hacked emails and the world received a wake-up call from not one, but two massive ransomware attacks. As for Daniel, he's now the president of the Cyber Threat Alliance, a collective of security experts and researchers dedicated to protecting the world from hacks, vulnerabilities and exploits. The story shows what can happen when HR steps out of its traditional siloand embraces a strategic role, explicitly using talent to drive value rather than just responding passively to the routine needs of businesses. That’s a transformation many companies have been striving to make in recent years as corporate leaders seek to put into practice the mantra that their people are their biggest asset.